If you are lucky enough to have a ticket to the Championships you will have access to the museum as well. Guided tours of the grounds and visits to the museum are possible from mid-July to mid- June each year. Come and see the home of The Championships. Experience the award-winning museum and tour. We have Blue Badge Tourist Guides accredited to show you the home of the Championships and the facilities that were used during the London Olympic & Parlaympic Games. Explore the grounds and see Centre Court, the Hill, the Press Interview Room and some of the normally private players’ facilities. Want to see the Championship trophies? Interested in listening to an interactive ghost of John McEnroe? Keen to cast your eyes over Andy Murray’s title-winning whites? Then step inside the multi-dimensional journey that is Wimbledon Lawn Tennis Museum. During the Championships access to the museum is only possible for ticket holders. 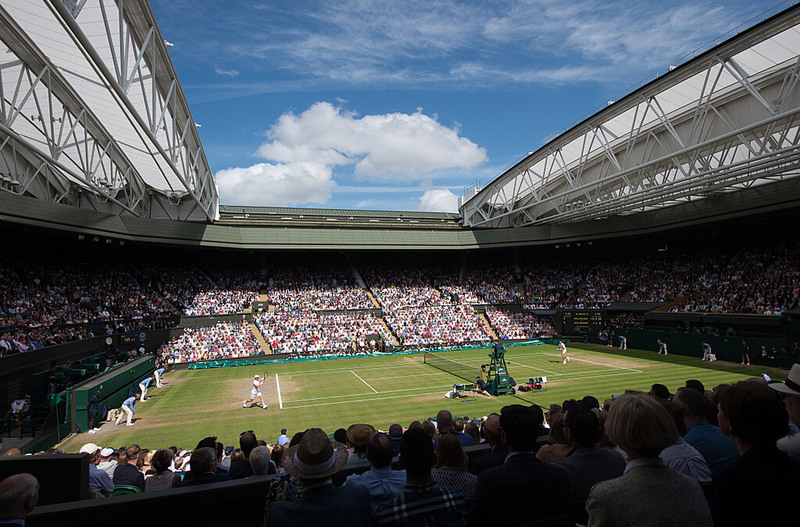 Let us arrange a tour of the All England Lawn Tennis Club for you as part of your day in London. We can also guide you around London sights, parks and sports venues such as Queen Elizabeth Olympic Park or Twickenham Rugby Stadium. Contact us to talk about your visit.